Each Wednesday in the Student Activities Center, Stony Brook University students gather in small, ever-changing groups huddled over their phones. These students attend the weekly Phewtick meetups to scan other students’ personalized quick response (QR) codes. The allure of Phewtick, a Japanese-based social networking application available on Android phones and Apple iPhones, is that it pays users money once a certain point value has been met. And to get points, users find others with the app and scan their QR codes, hence the meetups on Wednesdays. This mission seems to be working. As of November 2012, over 10 million meetups have occurred, according to Phewtick’s website. At Stony Brook, many students said they love the fact they make real money, but could not agree where the money they were making was coming from. Andy Wong, a junior computer engineering major, said he thinks Phewtick is making money from data mining, a practice that uses sophisticated computer technology and algorithms to recognize patterns in a collection of data, and then selling that information. But Phewtick’s website also says the company “is engaged in the procurement of necessary funds from Japanese investors,” currently earning revenue from advertising. The app uses information it collects each time a user scans another user’s QR code to show advertisements it thinks are relevant to that user. 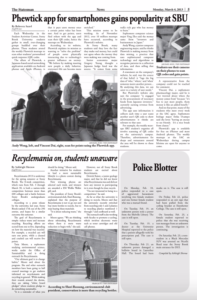 The Statesman published this piece in print on March 04, 2015. 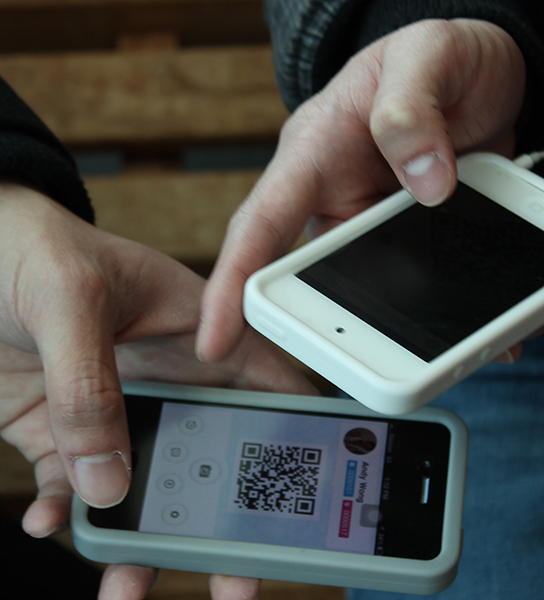 For example, the weekly meet-ups SBU student’s organize all involve scanning of QR codes on the university’s campus. Therefore, advertisements for shops and restaurants around the area will be shown to these students. A representative from the company could not be reached for comment. Phewtick’s app is available for free on iPhones and most Android phones. The weekly meetups at the SAC on Wednesdays during campus lifetime are open for anyone to come.